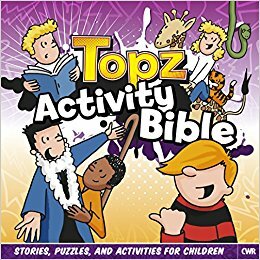 ​Bible stories, word searches, puzzles, prayers and activities. 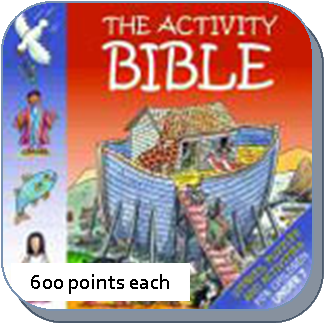 This action-packed book contains plenty to occupy, amuse and teach children under the age of seven years providing a structured approach to the Bible. Detailed colour pictures bring to life the stories of Adam and Abraham, David and Daniel, Jacob and Jonah as well as all of the major events of Jesus' life, death and resurrection. draw, imagine, color, and dream as they learn Bible stories. Unfinished pictures and intriguing prompts foster boys' imagination and creativity. Bring the refreshment of nature into your home and heart with Colour God's Creation. Caroline Simas' sweet and uplifting artwork has been featured on numerous gift and home-decor products. Now you can join her in her quest for joy by adding colour to her lovely drawings with your crayons, coloured pencils, watercolours, or markers. Fashion fads and beauty trends may come and go, but the wonder of nature and the miracle of life are timeless and can never be replaced. Enjoy these reminders of God’s love and care for mankind as reflected in the beauty of everything He created. Novices and experienced colourists alike will be able to reflect upon short quotations from the Modern English Version of the Bible as they colour the richly detailed designs on every page. ​32 wonderful pages of illustrations for you to make your own. Includes four pages of postcards. 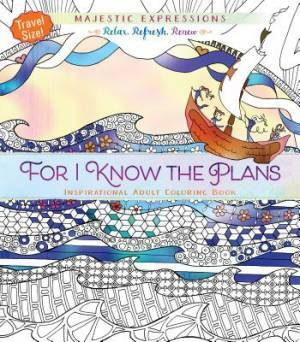 Eliminate some of that stress as you meditate on the on the peace and strength found in God, beautifully illustrated in the images and Scripture verses in Be Still and Know, a travel-size colouring book. Watch each page come alive as you allow your creativity to flow freely, filling the intricate images with the beauty of colour. worries of life can wait.